We are not a proprietary Currency, but rather a new Medium of Exchange. 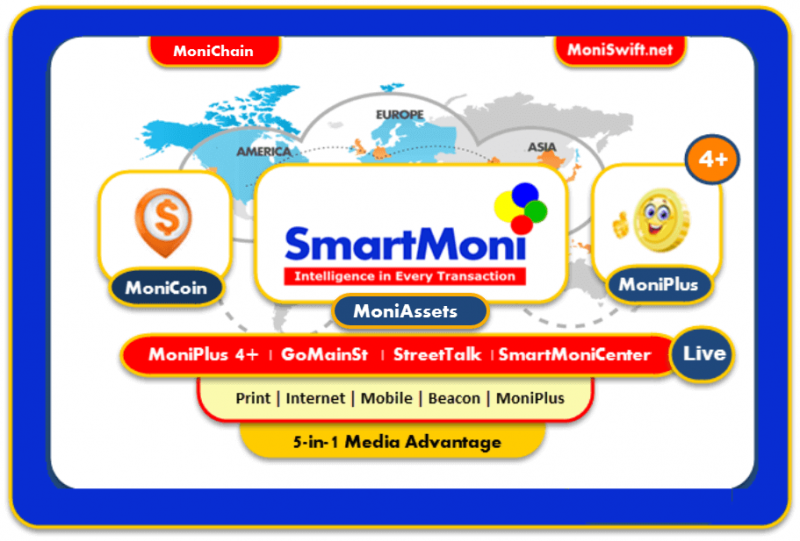 Its value is based upon local currency or certified Asset: Value during commerce is increased in every transaction with MoniPlus: MonPoints & MoniPromos. If all transactions using Bitcoin were on the blockchain, to enable 7 billion people to make two transactions per day, it would require 24GB blocks every ten minutes at best (presuming 250 bytes per transaction and 144 blocks per day). Conducting all global payment transactions on the blockchain today implies miners will need to do an incredible amount of computation, severely limiting bitcoin scalability and full nodes to a few centralized processors. With a network of instantly confirmed micropayment channels whose payments are encumbered by timelocks and hashlock outputs, Bitcoin can scale to billions of users without custodial risk or blockchain centralization when transactions are conducted securely off-chain using bitcoin scripting, with enforcement of non-cooperation by broadcasting signed multi-signature transactions on the blockchain. To support Unlimited Instant Payments and a Portfolio of Payment Options, the following accommodations are under review: Raise topology 1 level, Recentralization, Masternodes, Abreviated Blockchain, and the addition of Microchannels, IP Channels and implementation of Multi-Strands. Each substantially and exponentially increases our ability to service a global network of 7 Billion users daily needs with a portfolio of payment services.